Broome, Western Australia - Overrated Holiday Destination? Is Broome An Overrated Holiday Destination? 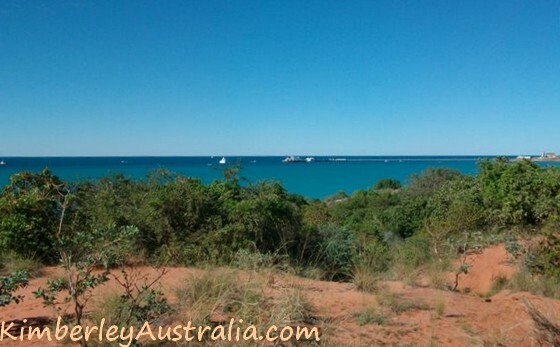 Why do many visitors return disappointed from Broome in Western Australia? Broome has it all. Or so the tourism industry says. Pristine and uncrowded beaches rated amongst the world's best. Multicultural and tropical flair (whatever that is supposed to mean). Broome's world famous Cable Beach. I could go on and on. Whatever you are looking for, somewhere in the marketing materials for Broome you will find it. Broome in Western Australia is exactly what you are looking for. Or so they tell you. But if you look a bit closer and start thinking about it you will find some contradictions. A different view of Broome. Photo submitted by a reader. Well, you actually can find all of the above in Broome. That's the problem. People usually prefer one or the other. If they are looking for a beach holiday destination they arrive with certain expectations. 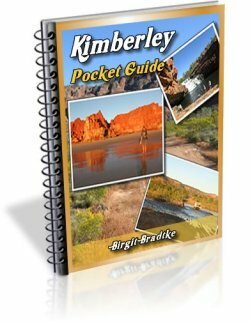 If they come to experience the vastness and solitude and "magic" of the Kimberley they arrive with certain expectations. In both cases chances are that they will be disappointed with Broome. And before I explain in detail why let me make this clear: I love Broome. What I write below might sound negative, because if you arrive here with the wrong expectations you will see these things as a negative. They are not negative, they just are. How good or bad something is depends on what you make of it. I'll tell you what to expect, and than you can make sure you make the most of it. Broome is great. No aspect of Broome in Australia is as heavily marketed as the beaches. Actually, I should say as heavily marketed as Cable Beach. That's what all the brochures rave about. 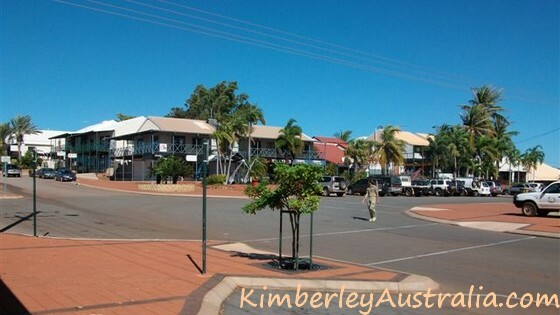 Broome is a small place! You have to understand that there just isn't much there. 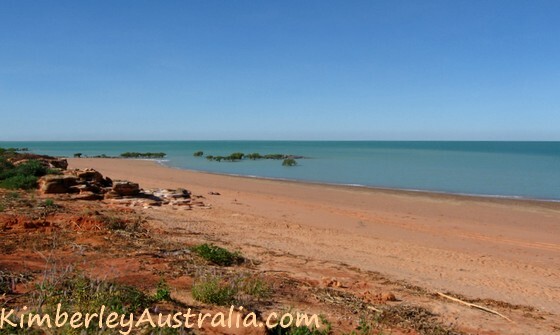 "Where the red desert meets the sea" is one of the slogans used to market Broome. That's exactly it. The desert on one side, the Indian ocean on the other. Makes for great photos, but no brochure ever mentions that there is not much in between, and absolutely nothing above or below except more desert and ocean. 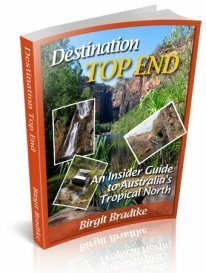 That's all there is to the coast of northern Western Australia, and to Broome. And regarding the tropical flair: the temperatures are tropical, the vegetation isn't. Sure, all the resorts, backpackers and many residents planted lots of palm trees around the place, but those gardens are like little islands. Better think "Outback", not "tropical paradise". Typical view of the town Broome in WA. Photo submitted by a reader. Another complaint that comes up repeatedly is that it is so hard to find the things that are there. Not enough sign posts, not enough touristy infrastructure. Probably true, and to some extent maybe even deliberate. At least wherever the locals have a say in things. Most of them aren't real happy about the way Western Australia tourism to Broome has exploded in the last few years. Not that anybody can do much about it. Basically, tourist numbers have increased a lot faster than Broome can or wants to grow. Which creates another problem that upsets many people. To find affordable accommodation in Broome during the main season is near impossible, unless you book months ahead. And this leads to the flip side of the coin. What about the people who aren't looking for your typical beach holiday? 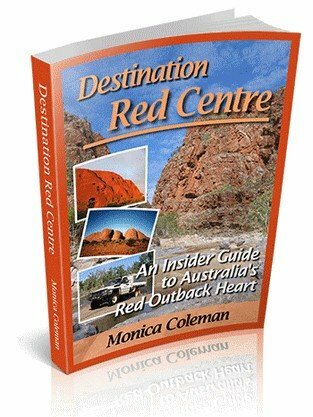 The visitors who come for the remoteness and Outback hospitality, the nature and the wilderness adventure? Oh blessed be progress. It's not that long ago that it took the dedicated traveller many days on potholed or unsealed and corrugated roads to travel between Broome and other Western Australia destinations. Alas, today we can board a plane and be on the east coast or in Perth in a matter of hours. Great. And people from the east coast can be in Broome in Western Australia in a matter of hours. Great? It's good for business, and it's great for people who live far away and want to visit Broome in Western Australia. But the ease with which Broome can be reached now has not only increased the numbers of people visiting. The type of people has changed, too. It's people who have money to spend and want to spend it, and who are looking for a lot more comfort, amenities, entertainment and service than the hardened Outback campers, who rocked up in Broome in their battered four wheel drives in the past. And Broome has responded. Everybody wants a slice of the pie. "Commercial", "touristy", "rip off", those are the words used by people who dislike the change. It's just what you see happen in every place in the world that gets discovered by the tourism industry. 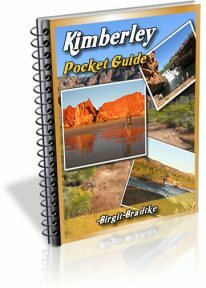 The town itself provides a stark contrast to what you find around it Both the Kimberley to the east and the west coast below Broome are magnificent wilderness areas, nearly totally devoid of people. Anybody who has been four-wheel driving, camping, fishing and camp fire cooking their way to Broome from Western Australia will initially experience it as a bit of a shock to the system. I have to admit myself that after a few weeks in the bush I find it a bit hard to adapt to Broome. On the other hand if I shoot over on the highway (I'm in Kununurra) or fly, then I feel instantly comfortable there. Unless it is July, of course (school holidays and peak season). 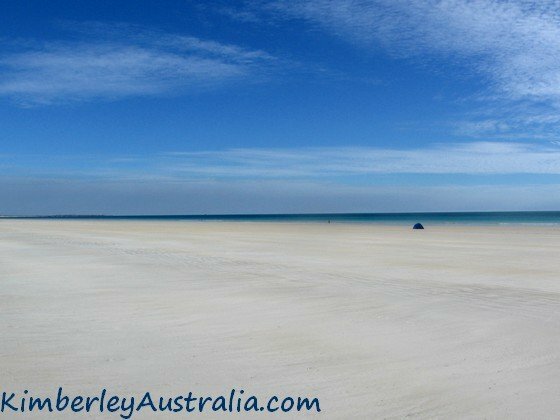 Broome In Western Australia - Should You Go? Coastline just south of Broome. Photo submitted by a reader. If you like places like the Gold Coast and are looking for something comparable then save yourself the time and money. Everybody else should definitely go. But don't travel all the way to Broome for a beach holiday only. Do some research first. Explore the fascinating history of Broome. 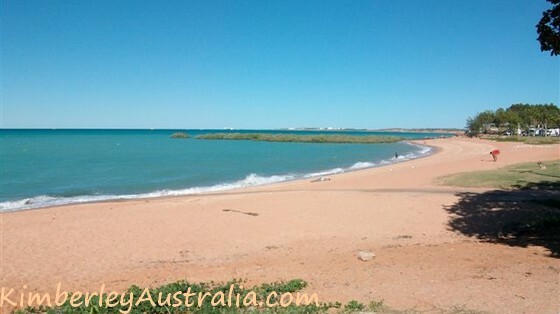 Find out what there is to see and do in Broome and around Broome in Western Australia, and be aware that most of the good stuff requires a (hired) four wheel drive or you have to join a tour or cruise. To people who absolutely can't handle the touristy aspects I can only say, don't bypass Broome!! Because you'd bypass the Dampier Peninsula and Cape Leveque and I know of many people who did just that and deeply regretted it once they realised what they had missed out on. Broome itself in the main season might be a bit busy, but as I already said, Broome is small. It doesn't take much at all to get away from people. I give plenty of tips for that on other pages.